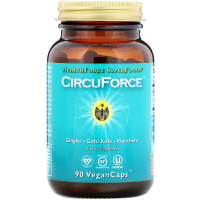 Item #0061: CircuForce Brain Power, which is Ginkgo Biloba, is a powerful antioxidant that nutritionally supports oxygenation, circulation, brain function, and much more. Intensive USAGE: 4 VeganCaps per day in 2 divided servings. Apply other aspects of nutrition/health. Suggested Adjuncts: An organic, low fat, whole/unprocessed food, vegan diet with emphasis on fresh raw foods, exercise (try rebounding), fresh air (house plants provide oxygen and air purification), a positive attitude, and everything else healthful! 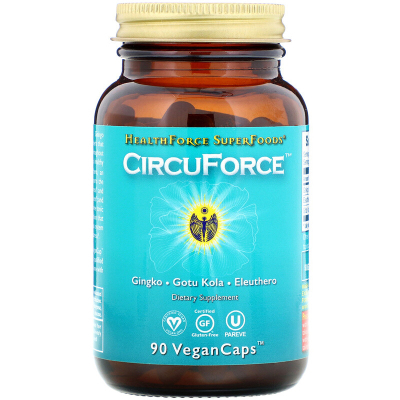 Highest potency, most effective, and best value Ginkgo Extract product on the market.